Bhopal, January 31, 2016 (Muslim Saleem): Chief Minister Mr. Shivraj Singh Chouhan has said that SC and ST students will be provided laptops on securing 75 % marks in class XII. Gyanodaya Vidyalayas will be opened in all districts. The Chief Minister was addressing a function on Gyanodaya Diwas at Government Gyanodaya Vidyalaya here today. The Chief Minister said that Gyanodaya Diwas will be observed every year. Number of seats will be increased from 280 to 640 in all 10 Gyanodaya Vidyalayas situated at divisional headquarters. Sports complexes will be built in Gyanodaya Vidyalayas. He asked students to brighten state’s name in country and abroad. They should dream big and make major achievements. The government will not allow any hindrance in their studies. Madhya Pradesh is pioneer in selection of Smart Cities, growth rate and agriculture growth rate in the country. He said that every citizen should contribute in state’s development. MLA Mr. Rameshwar Sharma said that a number of schemes have been implemented for educational development of SC and ST students. Principal Secretary Scheduled Castes Development Mr. Ashok Shah informed that a convention of students of all 10 Gyanodaya Vidyalayas of the state were held in which educational, cultural and sports competitions were organised. 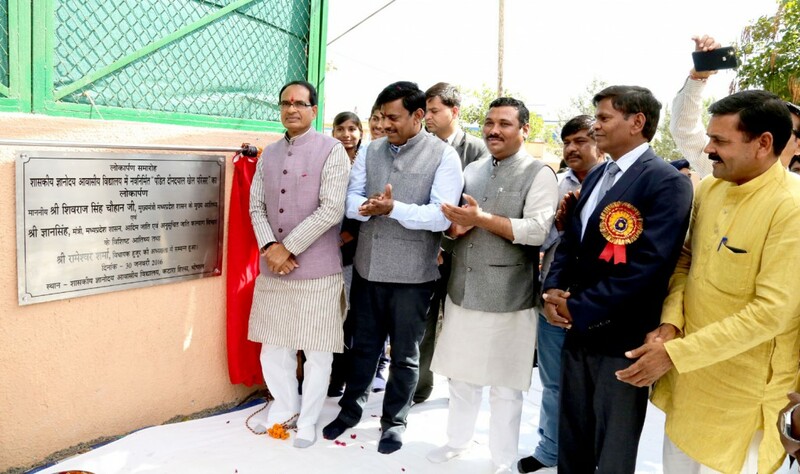 The Chief Minister also dedicated sports complex. He released book ‘Badhte Qadam-Khulte Raste’ focusing on achievements of young SC entrepreneurs and ‘Gyanodaya’ magazine. Mr. Chouhan distributed ISO Certificates to various offices of Scheduled Castes Welfare Department. He gave away prizes to winners of first, second and third places in various competitions. He distributed laptops to meritorious students under Maharshi Valmiki Incentive Award Scheme. Chairman of Scheduled Castes Development Corporation Mr. Bhupendra Singh Arya, MLA Mr. Vishwas Sarang, Corporator Mr. Kanta Ram Patidar and Commissioner Scheduled Castes Development Mr. Sanjeev Jha were also present on the occasion. Students presented cultural programmes.